The official site www.ItaloTreno.it has a version in 2 languages: English and Italian. Italotreno is a private company and the website works much better than the one of Trenitalia.com. I always check tickets for ItaloTreno first and only then go to Trenitalia. ItaloTreno high-speed trains run on the route Turin – Milan – Reggio Emilia – Bologna – Florence – Rome – Naples – Salerno with a branch in Bologna to Padua and Venice. From Rome to Milan at an average speed of 250-300 km per hour the train arrives non-stop in just 2 hours and 50 minutes. For comparison, by car this distance of almost 600 km can be overcome at best in 6-7 hours, and on the bus it takes about 8 hours. 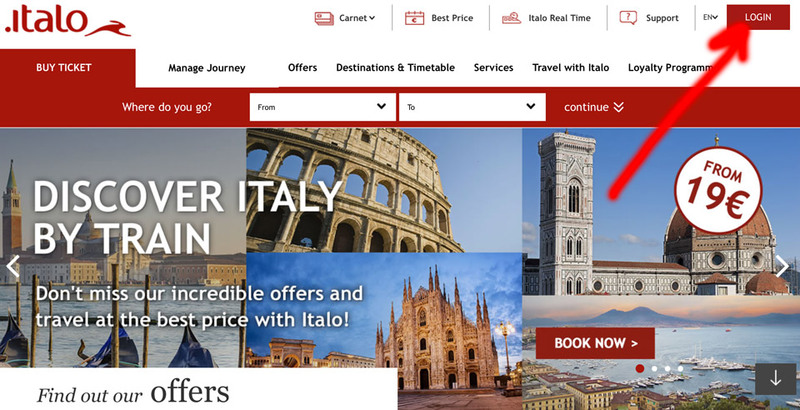 It is not necessary to register for the purchase of tickets on the ItaloTreno website, but it will save you time if you plan to return to Italy or purchase tickets again. Moreover, all purchased tickets will remain in your profile. 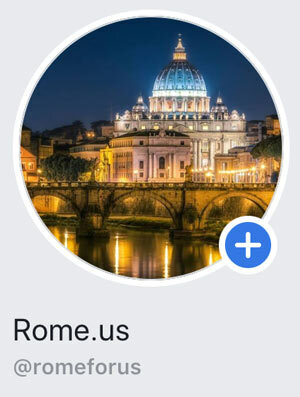 Let’s try to create a profile on ItaloTreno step by step. We start from the main page of the official site, I chose the English version. In the upper right corner, press LOGIN. 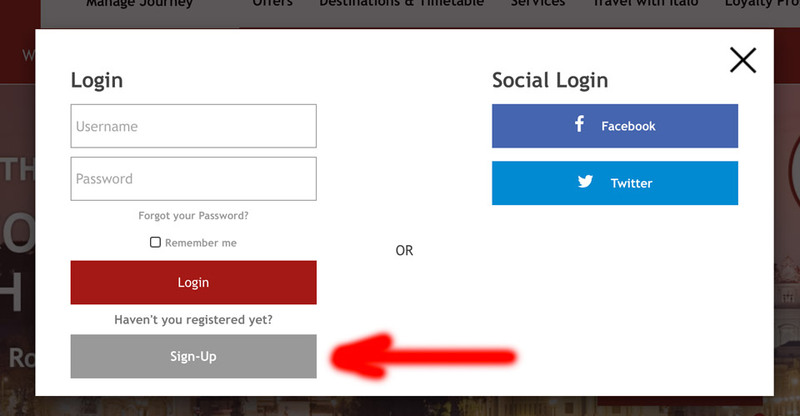 A pop-up window offers us to log in via Facebook or Twitter. So, you can also authorize through a social network. Select Sign-Up. After, you will have to fill in all the information about yourself and receive your Customer ID. When you finish with the registration, you will receive all details to your mail. Right after the registration process you can start to purchase high speed train tickets! 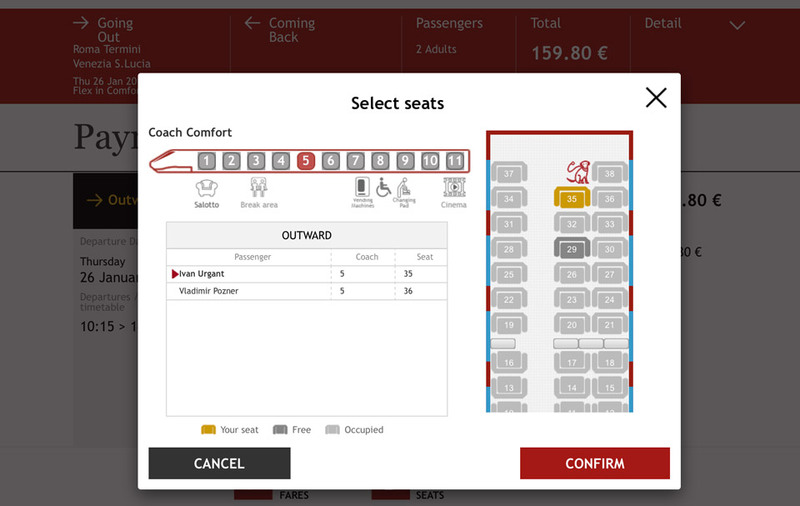 Let’s see how to buy a tickets on the website of ItaloTreno. In the example we suppose your journey begins in Rome, and the next city of travel is fabulous Venice. Choose a one way ticket. Fill in the fields. 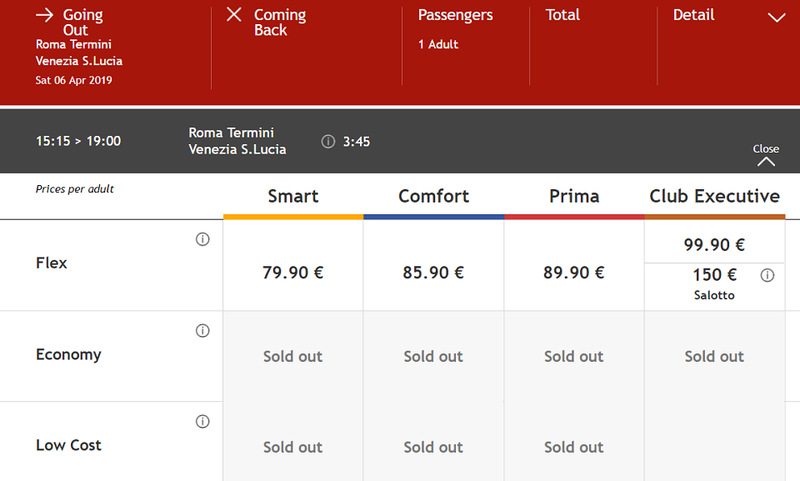 Sometimes you can get a seat in “Prima” for a really nice price because of the special discounts that the company offers. If you buy a ticket right before your trip, be ready that the prices will be higher. Of course, if you buy your ticket at least 1-2 weeks prior to the trip, there will be more available seats to choose in the train. 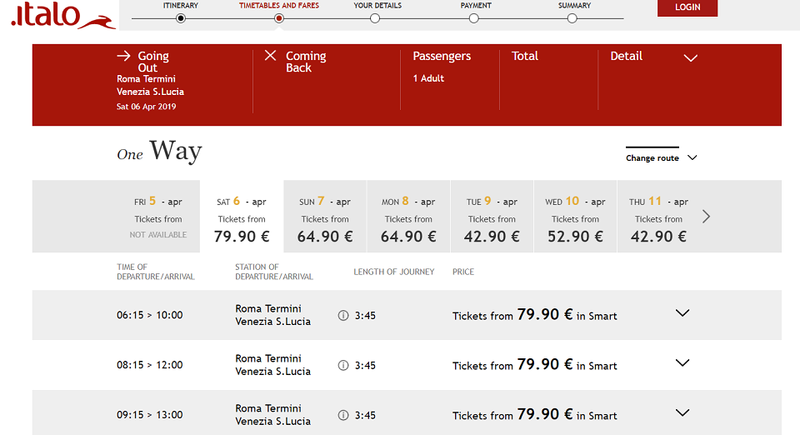 When planning a trip in advance (at least 1 month), it is possible to buy a ticket, for example, from Rome to Milan for 19.90 euro, and from Venice to Rome for only 9.9 euro. The table below shows the best deals – the cheapest ticket prices. I always go to the official ItaloTreno Facebook group before searching for a ticket, where they post promotional codes on specific dates. This method saved me up to 50% of the ticket price several times, but still the most proven option is to simply buy a ticket in advance. Also e-mails with promotions and discounts regularly come to registered users. 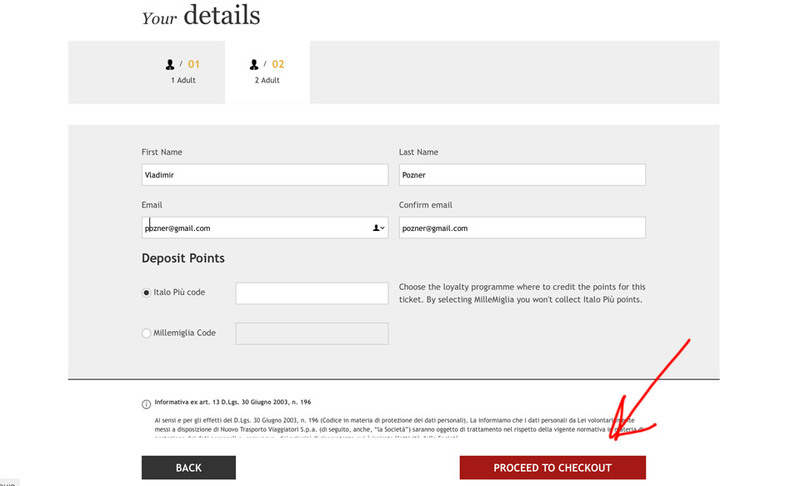 If you are registered on the site, then you can find your ticket and change it in your account. You can change a ticket a maximum of 3 minutes before departure, although it is possible that only the most expensive options will remain.